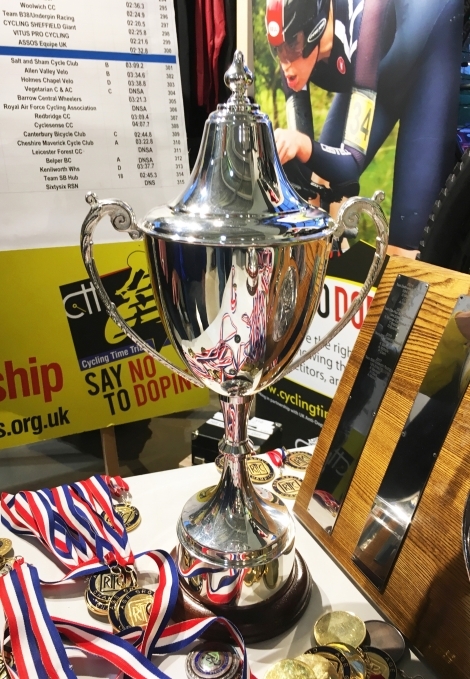 Our very own BCC Queen Bees have finished their road season by winning the highest national honour of becoming the 2018 CTT National Hillclimb Team Champions. 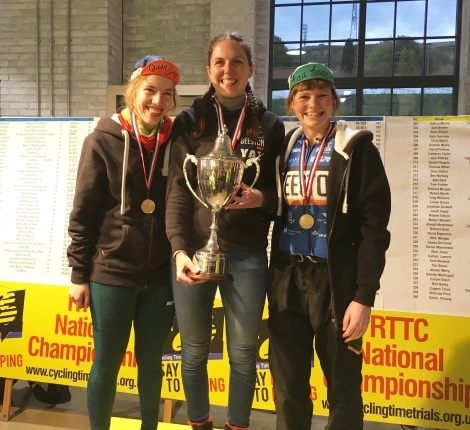 Laura Owler, Yasmin Marks and Emily Kate Walton left nothing on the hils of Stockbridge, Sheffield as they competed against the best in the country. This is a fantastic achievement for our racers of our local cycling club that dares to challenge. They targeted the team title knowing that their combined PB times would see them in the hunt. They all reccied the course so they knew where the ultra red zones would strike. True to form they stuck to their plan and all recorded PBs with Yasmin getting 12th place in the individual classification which is fantastic. Emily and Laura who have also been competing for Nottingham University put in stunning times so that their combined team time put clear distance between them and second place. (team times yet to be published). 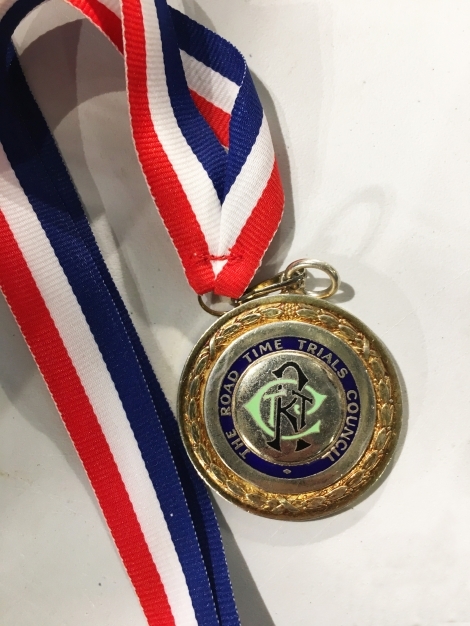 In January (tbc) they will be attending the CTT Awards Dinner & Ceremony to receive their medals and trophy. We congratulate them on receiving this great accolade. It was fab to have fellow Queen Bees Fiona May and Bev Sorsby supporting and screaming at them. It was great to have Tom, Emily's partner from the Uni who competed and supported the team. Dylan Berry my cousin came over from Liverpool to support BCC and his old Reading CC team mates who in turn were screaming encouragement for the Bees. It's always nice to see Richard Stoodley with his Northern Shandy. Lastly it was moving to hear the crowds let out a loud cheer when Beeston Cycling Club was announced champions at the medals ceremony. Plus the chairman of the CTT said how delighted she was that a local club left everything on the hills and captured the spirit of the championships. Thank you to all our members, families, friends, coaches and our sponsors that helped them get to this point and dare to achieve.